The Kiwi SDR and Wellbrook loop provide a very good single antenna solution for 0 to 30 MHz shortwave reception. 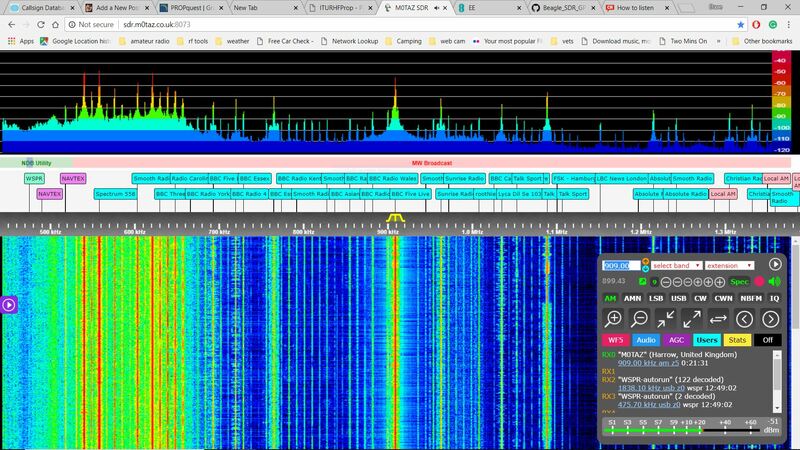 The Kiwi is capable of displaying the complete band of 30 MHz, but the disadvantage is the very high power from some of the LW and MW stations can cause the receiver to overload in the evenings. 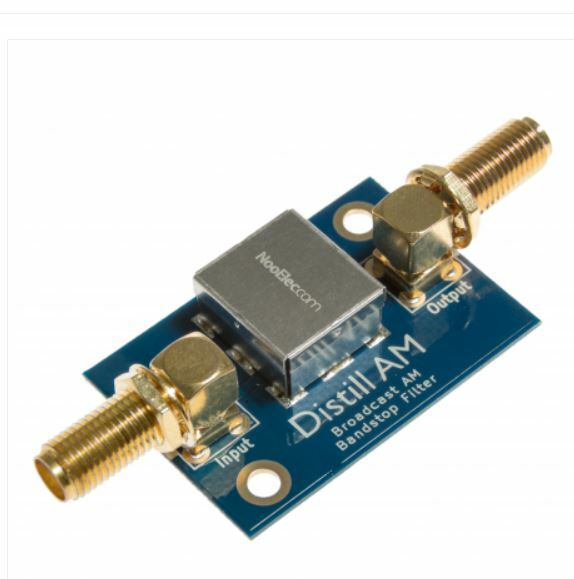 One approach would be to build a notch filter to attenuate just the one or two strongest signals, in my case this would have been 909 kHz Radio Five Live from Brookmans Park, and 1332 kHz Christian Radio. The problem I had was in the evening this would often change, and at times some of the continental AM stations would become an issue. 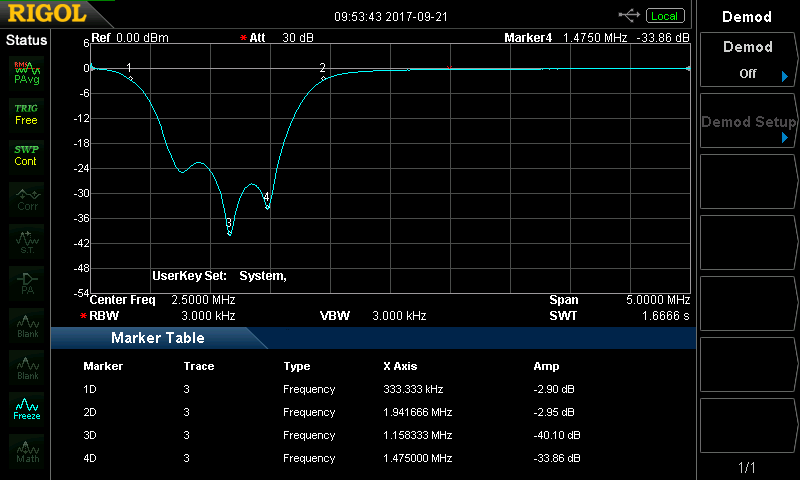 The alternative would be a bandstop filter, that would just attenuate the MW band. 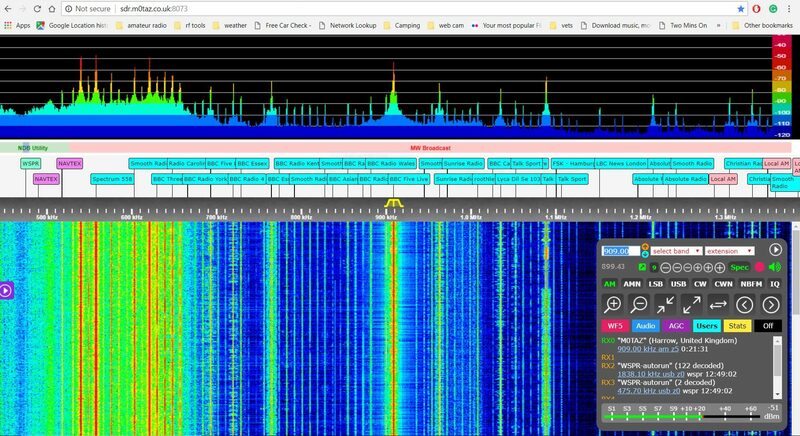 We also have two amateur allocations at 472 kHz and 1.9 MHz that I would like to receive, with the medium wave band in the middle. The solution would seem to be a bandstop produced by Nooelec. The units retail for around 11 dollars in the USA, you can get them from Amazon or eBay for around 16 GBP with free delivery. You can view the data sheet below. 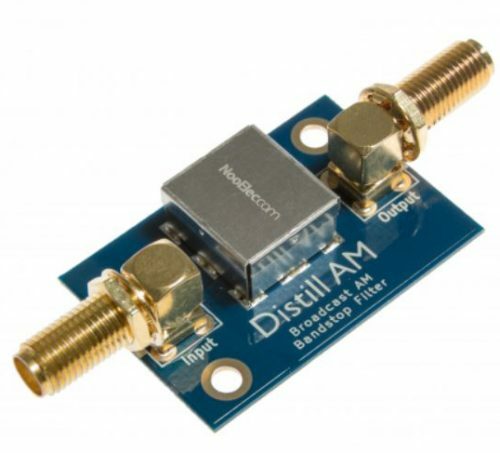 I found 909 kHz reduced from around -20dBm to -50dBm so this helped reduce any signal overload. You can read more or use the Kiwi receiver here. The Welbrook look is an active broadband receiving loop antenna. Nooelec have a range of products online.